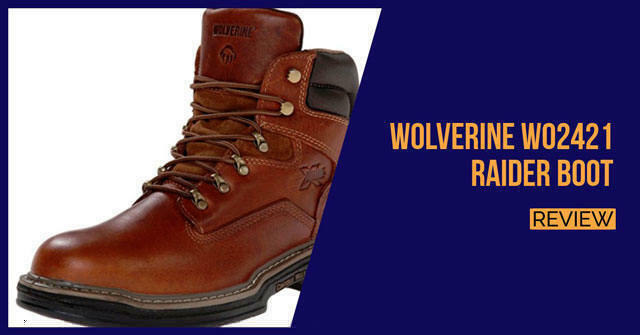 Wolverine is another top quality US brand and they focus excessively on using top grade materials from the US to ensure that the boot is not only durable but meets all of your needs when walking on rough concrete surfaces. 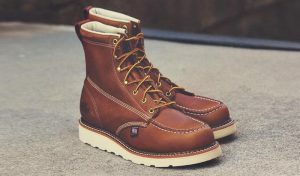 The Wolverine W02421 Raider is designed from premium grade leather and it features a high-cut design. This certainly helps when it comes to keeping things from getting inside your boot and to offer you some additional joint and ankle support for those suffering from weaker joints or have some problems. 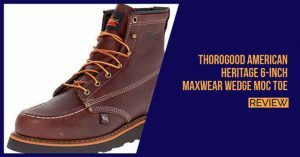 The Wolverine Multishox cushioning system is used inside the boot for maximum comfort and it helps when it comes to absorbing some of the shocks that you might need to deal with on tough concrete floors. A rubber outer sole is a little softer and this will help with comfort, while the inner sole generally molds to the shape of your feet quite well. 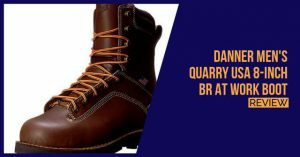 On the inside of the boot, you are treated to a mesh lining and this will not only help to avoid abrasions, but it has the ability to wick away some of the moisture. It enables air to sufficiently pass through and create some ventilation, which could additionally help to remove any stubborn odors as well. 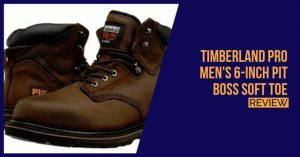 The boots are priced quite reasonably and this does make them a great investment. 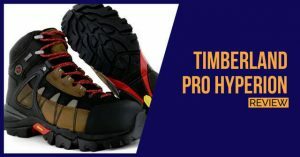 While not toe protection is present, these might not be the best safety toe work boots for the construction industry, but they are ideal for work in safer environments. We would certainly recommend them to factory worker. 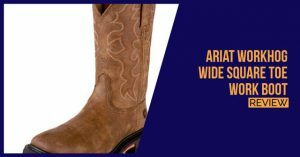 The Ariat Workhog Wide Square Toe is one of the odd boots on our list and we still believe that it is worthy of making the list when looking at the most comfortable work boots.